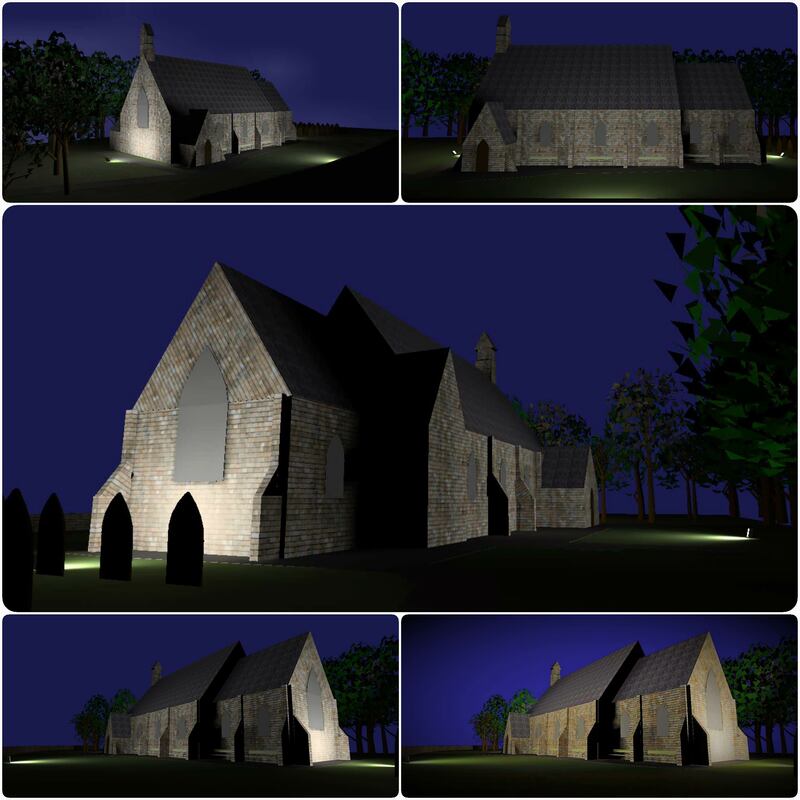 Luminous Solutions have been tasked with illuminating a Church in Allerton Bywater, near Leeds. With this Listed Building comes wiring constraints, thus meaning we had to only use the existing 4 points to bring this old building back to life. Using the latest LED technology with Environmentally friendly 2700k CCT Warm White output, we have managed to show the client the finished look, photos to follow once installed.